This 3+1 bedroom family home in Elboya has been extensively renovated is situated on a 50â€™x120â€™ lot with park & river views. Features include hardwood floors flowing through the main level & upper levels, formal living & dining rooms with vaulted ceiling & floor to ceiling double sided fireplace, main floor den/office & gorgeous chefâ€™s kitchen with quartz counter tops, solid maple cabinets, Ultraline 4 burner gas stove with grill, Bosch dishwasher, GE fridge & Panasonic microwave. A mudroom & powder room complete the main level. There are 3 bedrooms & a 4 piece main bath on the upper level. The master bedroom includes a 3 piece ensuite. The basement is partially finished with a bedroom & 3 piece bath. Also enjoy the sunny south back yard, double detached garage & convenient location just steps from river paths, Stanley Park & close to Sandy Beach, The Glencoe Club, excellent schools, shopping, public transit, vibrant 4th Street & just minutes to the downtown core. Home for sale at 411 Riverdale Avenue Sw Calgary, AB T2S 0X7. 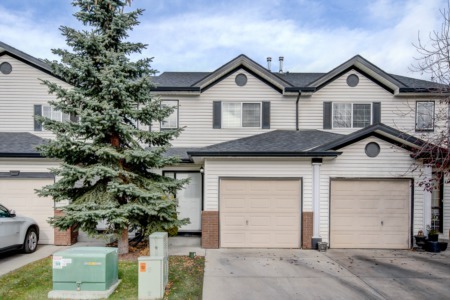 Description: The home at 411 Riverdale Avenue Sw Calgary, AB T2S 0X7 with the MLS Number C4210646 is currently listed at $1,229,000 and has been on the Calgary market for 192 days. You are viewing the MLS property details of the home for sale at 411 Riverdale Avenue Sw Calgary, AB T2S 0X7, which includes 3 bedrooms, 4 bathrooms and has approximately 1660 sq.ft. of living area.